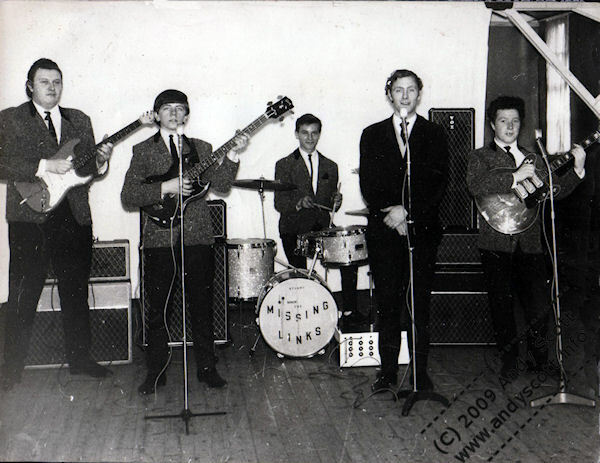 Andy was about fifteen when he joined his first “Rock” band, The Missing Links. They were basically a rhythm and blues band covering everything from Chuck Berry to the Rolling Stones. The music was louder, brasher and to use an expression of the era – “cool”. 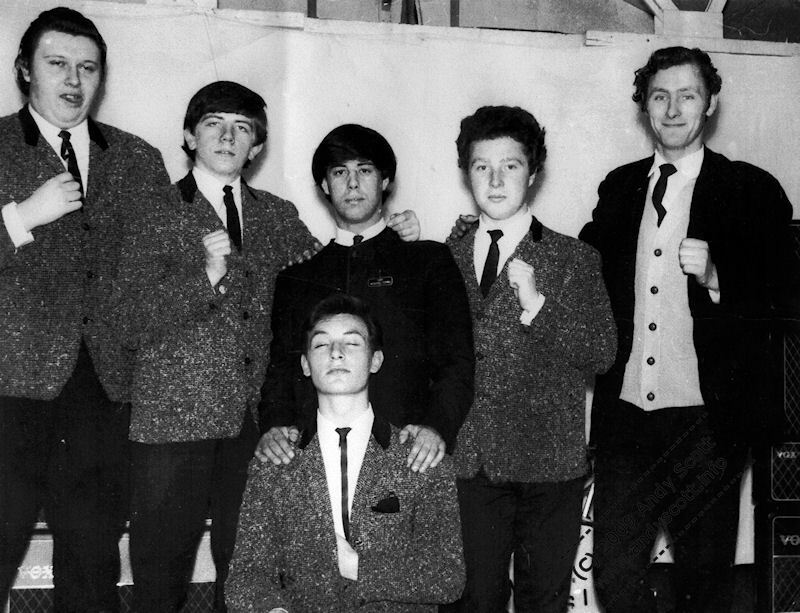 Looking back at the photos he can categorically say that they weren’t dedicated followers of fashion but once on stage they certainly knew how to get a crowd going. 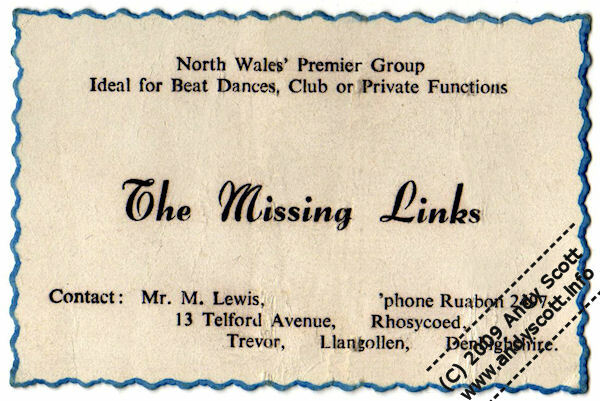 The Missing Links allowed him to express himself and probably helped him as a musician to break out of the normal boundaries. 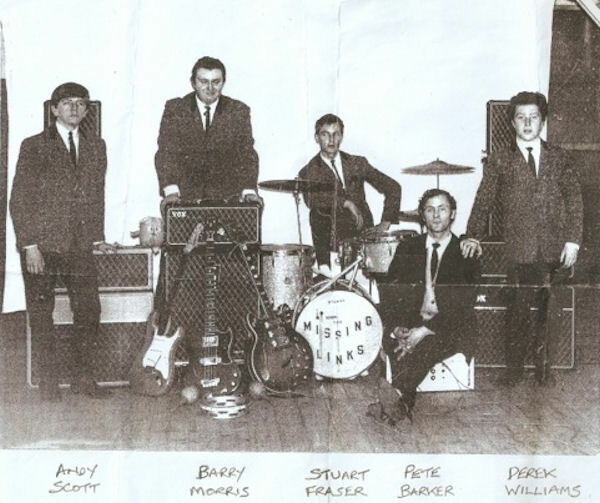 The band were: Guitarist: Barry Morris Bass Guitar: Andy Scott Drummer: Stuart Fraser Vocalist: Pete Barker Guitarist :Derek Williams They were managed by a guy called Tony who is in the black collar-less suit in the centre of the photo below. 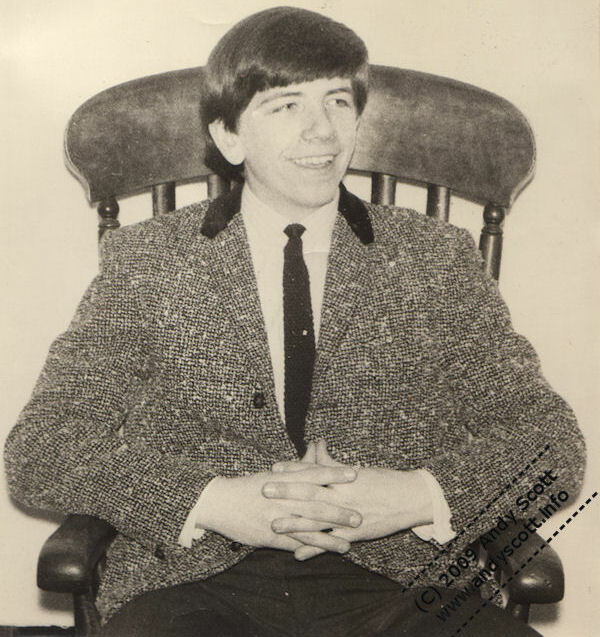 Andy was only in the band for about 6 months before he moved on to the Silverstone Set.